I don’t think I’ve made it a secret that both Lost Stars and Bloodline stand firmly at the top of my list of favourite Star Wars books. And in Bloodline, Claudia Gray has already proven her mastery over Leia as a character. Naturally, a new Leia book by Gray would have high expectations. Impossibly high, some would say. So why did I like Leia – Princess of Alderaan enough to type up a few words about it? …Because it’s Claudia Gray writing Leia, of course. She just totally gets the character. Galactic events have left their mark on different iterations of Leia, but her essence always remains the same. She’s savvy, inquisitive, friendly and fierce. As the princess of Alderaan though, she’s a Leia like we’ve never seen her before. She’s just a happy-go-lucky aspiring politician trying to make a difference in the galaxy. Slowly but surely though, she finds out there’s people willing to do more than argue in a committee to stop the evil rule of Palpatine. And we get to witness her maturing into the character we all know and love. Since the novel takes place before Leia meets all the companions she wages war with in the movies though, it needs a a new set of supporting characters. Fan favourites Bail and Breha Organa finally get their time in the spotlight. Not only does this deepen the lore of the creation of the Rebel Alliance, it also adds extra punch to the destruction of Alderaan (spoilers!) in A New Hope. A lot of the other characters are Leia’s peers, the future of galactic politics. Including (sorry Claudia) the worst Star Wars name I’ve ever laid eyes on, Sssamm Ashsssen of Filithar. They’re all well-defined though, and there’s enough pleasant surprises in their ranks to keep you satisfied. Speaking of pleasant surprises, there’s a lot of easter eggs and references to other works. Gray-created planets Harloff Minor, Gatalenta, Pamarthe and Filithar pop up again, of course. But there’s so much more. It’s its own standalone story for sure, but there’s so much connective tissue linking it to other stories. And let’s just say it definitely deserves its Journey to The Last Jedi moniker. In fact, there’s enough references to write a whole new article about, so keep an eye out for that. And if you think you’ve spotted an obscure one, please let me know! If there’s one issue with the novel though, it’s a familiar one for current Star Wars literature. The journey is amazing, but the end result is rather unsurprising. Yet even with a lack of shocking revelations, the book at least wraps up in a neat and satisfying fashion. The main story threads are expertly woven together. And enough story hooks remain to tie into future Star Wars literature. All in all, Gray has delivered yet another winner with Leia – Princess of Alderaan. We get a better understanding of a character we’ve known and loved for forty years. It’s a love letter to the actress who breathed life into that character. And it even enhances your viewing of Star Wars movies both old and new. If that’s not a reason to read this book as soon as possible, I don’t know what is. 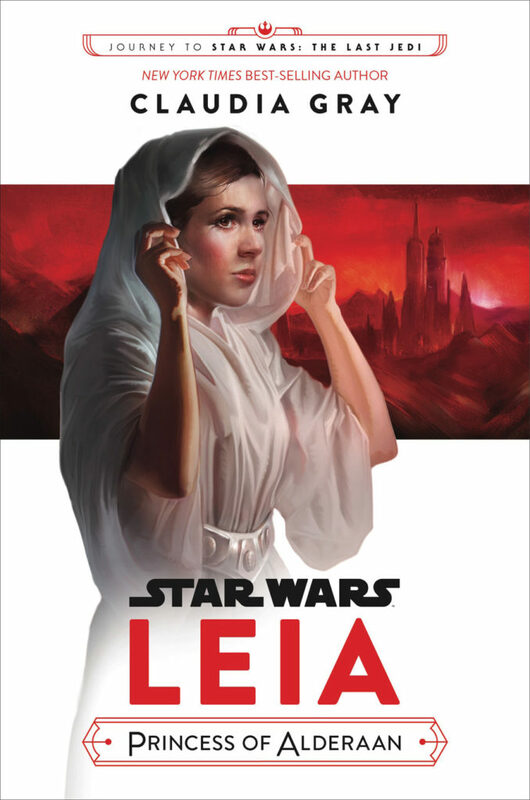 Leia – Princess of Alderaan is the latest Star Wars young adult novel from Disney Hyperion. Written by Claudia Gray – veteran of Lost Stars and Bloodline – it tells the never-before-told story of how young Leia Organa comes to join the rebellion against the evil Empire. Available as a hardcover, ebook, or audiobook, it’s available at a retailer near you right now.